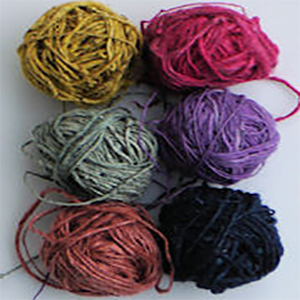 This 50g/1.8oz collection contains six balls of different coloured nettle yarns. The colours in these packs may differ from the colours in the standard nettle yarn range as they sometimes include colours Jane Brunning is experimenting with. We cannot predict exactly which six colours you will get in a pack but we can guarantee that you will be delighted with them! Length aproximately 114yds/ 104m per 50g/1.8oz.